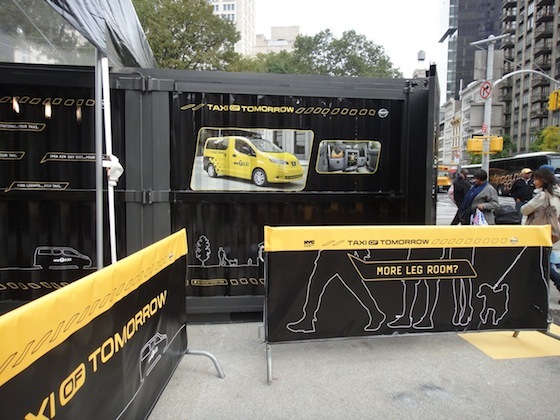 Back in November I saw a prototype for the Nissan NV200, the vehicle that won New York City’s Taxi of Tomorrow contest. I took a tour of the interior, which was on display at the Flatiron Plaza. You can read my account here. The 2014 Nissan NV200, which will become the newest cab in New York late next year, was unveiled at the New York International Auto Show. It looks as if a few changes have been made since I saw the prototype in November, based on the blogs I’ve seen. There’s been a lot of press about the vehicle that will join New York’s iconic yellow cab fleet, from engadget’s hands-on video; to the Chicago Tribune, which lists the pertinent features; to autoblog.com, which includes the full press release. 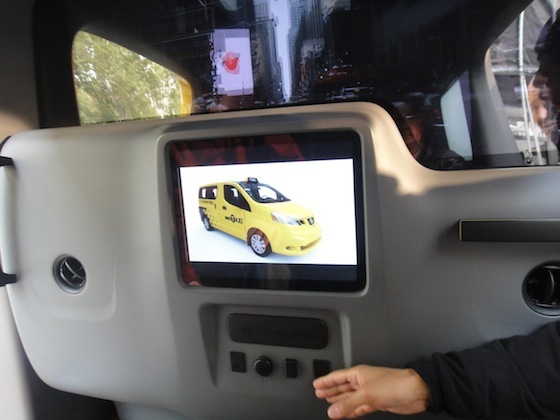 Japan Probe, a popular English-language blog about news and trends in Japan, also posted about the unveiling of the NV200. The story made the news in Japan. Next Next post: Drown Your Senses in "Floating Point Waves"